Where to go (and when to go) to see the mountains in bloom. There’s nothing quite like an alpine meadow teeming with wildflowers. On a macro scale, it’s grand — a rainbow carpet beneath blue sky and staggering mountain peaks. But flowers also inspire on a micro scale, allowing us to dwell on nature’s most intricate stylings and to puzzle over the particular brew of sun, soil and moisture that make any flower possible. 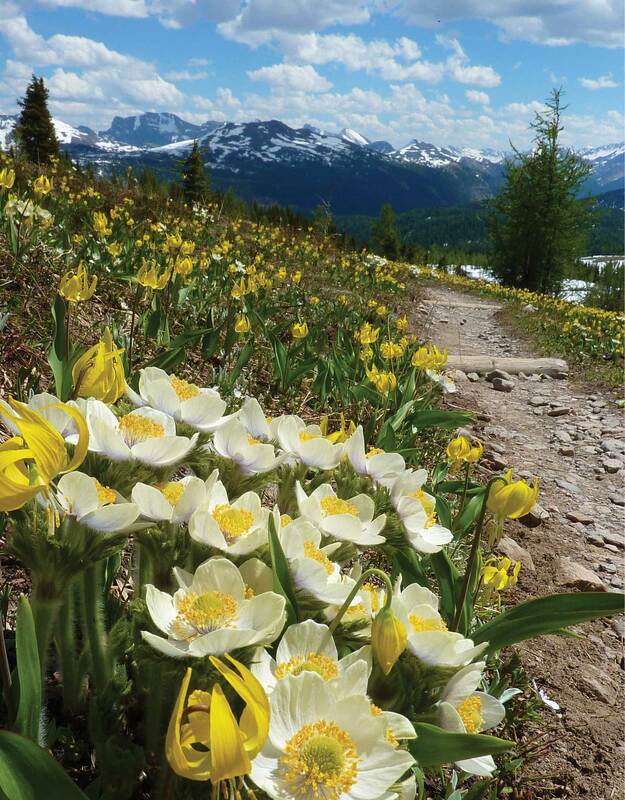 Shifting with the season, alpine wildflowers remake the landscape again and again. To really appreciate them, you’ll need to set foot in the mountains at the right time of year. These four hikes in Banff National Park, Kananaskis Country, the recently created Castle Provincial Park and the Wildflower Capital of Canada itself, Waterton Lakes National Park, are all solid bets. There’s something here for everyone, from high-alpine go-getters, to those who prefer (or require) a mellow amble with high reward. With its windy, variable climate and unique geology (ancient and young rock slammed together by tectonic plates), Waterton Lakes National Park contains 45 different vegetation communities (at Parks Canada’s count) and is famously flush with flowers. More than 50 per cent of Alberta’s wildflower species can be found here. Within this mecca of biodiversity, Parks Canada resource management officer Caitlin Willier says the Horseshoe Basin trail is particularly special. 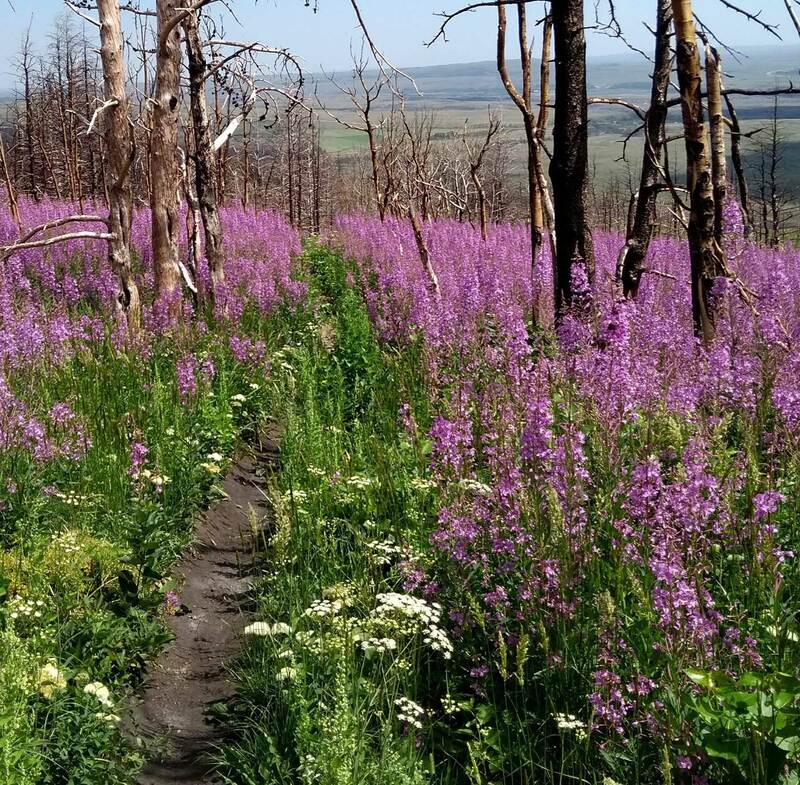 The hike begins in the prairies by a bison paddock and proceeds into a formerly forested area that burned away in the Kenow Mountain wildfire in the summer of 2017. The hike crests on a plateau, then leads down into a meadow where you’re likely to see pussytoes and geranium, and across a creek to a flower-filled floodplain. Along with river beauty, monkey flower and twinpod, look for a groundwater-fed ephemeral spring that pops up from time to time. The most challenging part of the hike is the series of switchbacks leading up the south side of a ridge. On the northside descent, be prepared to have your feet sink into soft deposits of soil blown there by the wind in the wake of the fires, after vegetation that formerly held the soil in place burned away. Willier notes that you’re likely to find arnica, Bicknell’s geranium and dragonhead here — all are fire-obligate species that wait in the soil until conditions are right and then grow in the aftermath. Moderate to uncommon in the forest understory prior to 2017, these species are now flourishing ever since the fires have changed the forest structure by burning away the canopy. 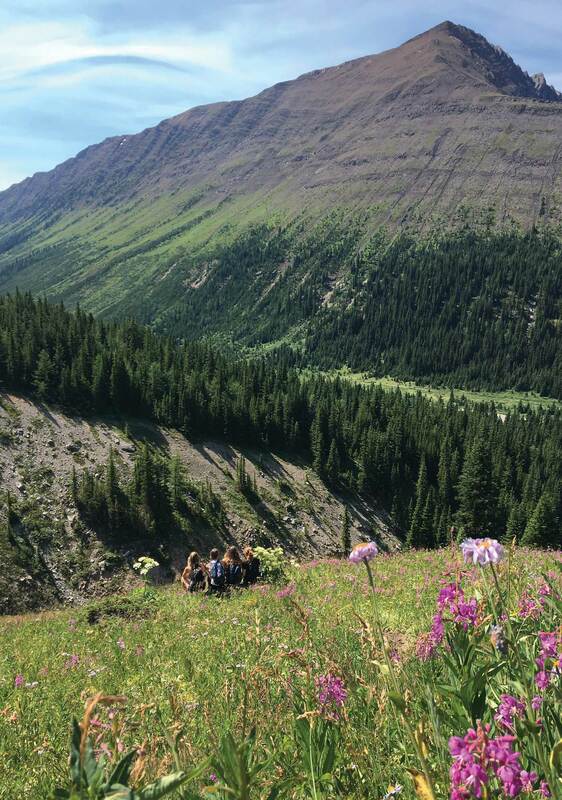 Tip: If you want to learn more about mountain wildflowers, the annual Waterton Wildflower Festival, runs this year from June 13 to 18. 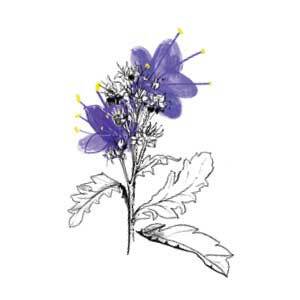 Jacinthe Lavoie and Ian Wilson’s books Wildflowers of Banff Park and Wildflowers of Waterton Park are also superb wildflower hiking guides and flower-identification tools. This hardy flower with distinctive yellow-tipped spiky stamens is hard to find anywhere else in Alberta and is considered rare in the rest of Canada. The five-petalled bluish-purple flowers cluster in a scorpion-tail shape that uncoils as they bloom. In 2017, Castle and Castle Wildland became Alberta’s newest provincial parks. Both parks, along with neighbouring Waterton Lakes National Park, are part of the Crown of the Continent ecosystem, one of the largest intact and most diverse ecosystems in North America. More than 200 rare species make their home here. Castle’s Meadow Loop Trail may be short, but it runs through a lush montane environment of fescue grassland meadows, wetlands, streams, pine, spruce and aspen forest. Begin at the southeast corner of the Syncline South Parking Area and follow the trail along the West Castle River and through a spruce forest to a meadow. Look for the tiny yellow cups of Oregon grape and metre-high clusters of white flowers (bear grass) in the forest, the three white petals of the mariposa lily in the dry meadows and thimble berry’s thickets of white flowers on the return section of the trail. You can lengthen your hike by exploring further into the 20-km Syncline Trail network. Alberta Parks visitor services supervisor Heidi Eijgel describes this tiny member of the iris family as “a treasure to find.” A bright yellow centre punctuates the blue-violet spike-tipped petals. The best time to find them is midday as they only open in full sunlight. 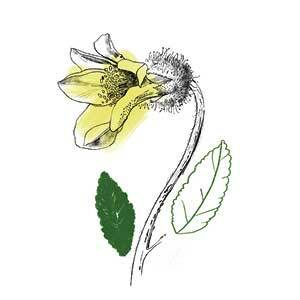 Look for this flower in open grassland meadows. The yellow dryad may look delicate, but it’s a tough little survivor. Low, wrinkled-skin-like leaves take advantage of the heat given off by its rocky nest while the hairy undersides hold onto what little moisture it gets. 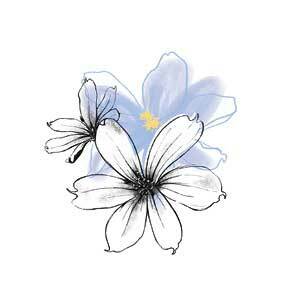 Short, strong, dense roots stake the flower’s claim in gravelly, unstable soil. With sparing nutrition, the roots store nitrogen as well as return the element to the soil for other flowers. Look for this bright yellow bell-shaped flower along the rocky sections of Ptarmigan Cirque. If you’re going to see spectacular wildflowers, you may as well set them against some of the best scenery in the Canadian Rockies. Healy Pass presents soaring views of Mt. Assiniboine, Storm Mountain and Egypt, Scarab and Pharaoh Lakes with a feast of colour at your feet. There are two options to reach the pass: you can do the entire thing by foot by taking the Healy Creek Trail from the Banff Sunshine Village Ski & Snowboard Resort parking lot, or you can take Sunshine’s summer gondola to the resort base area, and from there hike to Healy by way of Simpson Pass. Option two requires payment of gondola admission. (On days when the gondola isn’t running due to weather concerns, Sunshine will ferry guests to and from the resort base by bus). Between Simpson and Healy passes, you’ll be treated to hundreds of cheery pink agoseris. Liven up the final forested eight km by hunting for orange bracted honeysuckle, pink-belled false azalea and clustered wintergreen blossoms. 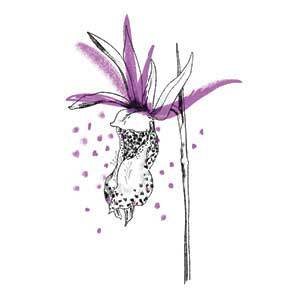 This member of the orchid family is a beauty and a trickster, luring insects with its sweet scent, showy purple-pink colour and slipper-like shape. But the flower contains no nectar to reward eager pollinators who come looking. The fairy slipper blooms early (as soon as May) and can be found in shady, forested, mossy areas.